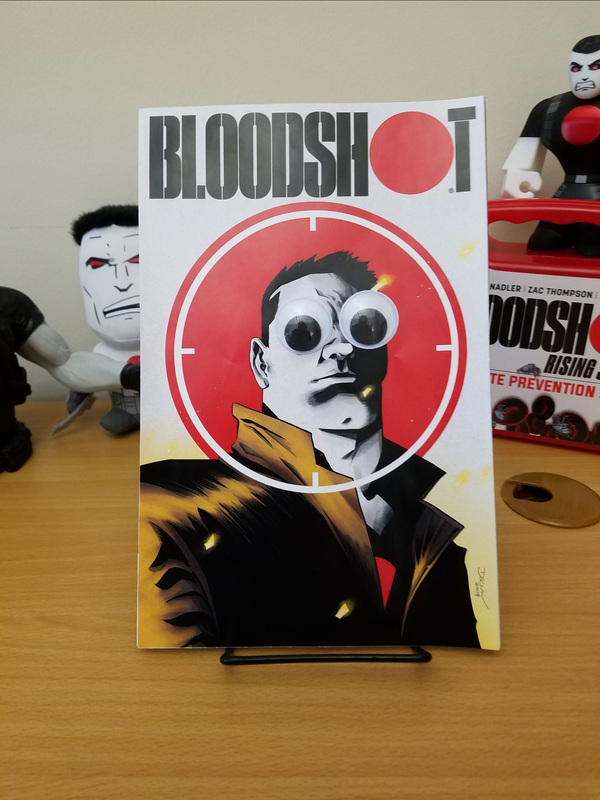 "In today's crazy topsy-turvy world, I think Bloodshot's Googly-Eyes is a savvy metaphor for how Googly-Eyed we're all viewing each other," observed artist and part-time philosopher Declan Shalvey. 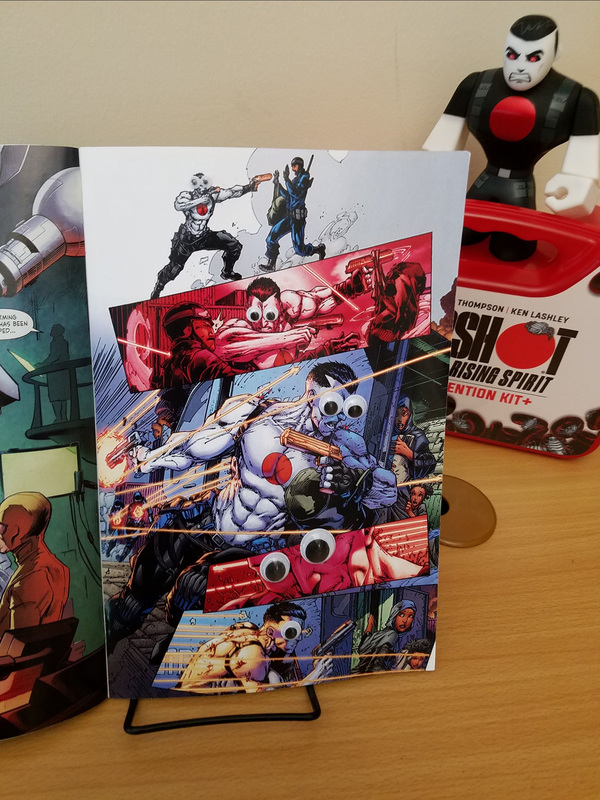 "Bloodshot has his finger—and Googly-Eyes—on the pulse of modern culture." "If the '90s were the Chromium Era of comics, then I think Valiant is ushering in the Googly-Eyes Age," Tim Seeley passionately tweeted. "Modern readers want great stories, top-notch art, collectability, and the utter hilariousness of eyeballs that freely move around. Look at them! HA! SO SILLY!" Getting this unique variant made wasn't easy, though. "Why are we doing this? I thought I vetoed it," shouted Valiant Publisher Fred Pierce from his office. "Because we want to," Director of Design & Production Travis Escarfullery muttered under his breath.